Robert Leftwich, a representative for the Texas Association of Nashville, Tennessee, obtained a colonization grant from Mexico in 1825 that included the Milam County area. The colony was known to the Mexican government as the Municipality of Viesca, but in 1835 the legislative body of the Provisional Government of Texas renamed it the Municipality of Milam, in honor of Benjamin Rush Milam. 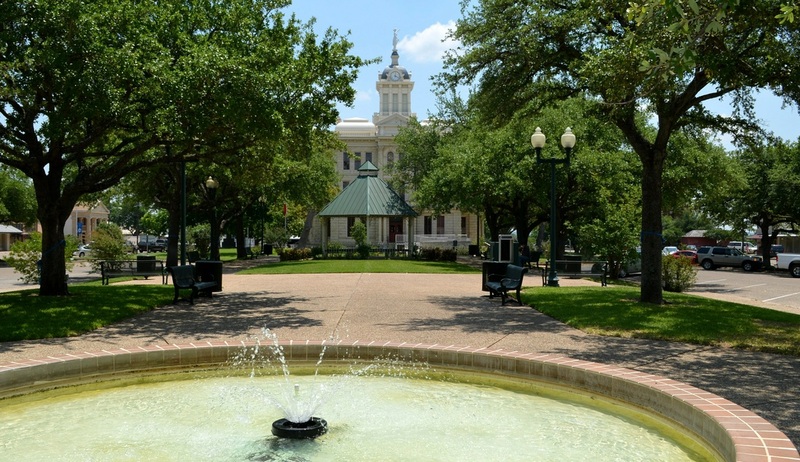 It was during the first Congress of the Republic of Texas that the municipality came to be called Milam County. At that time the boundaries of the county were roughly the same as those of the colony granted to Leftwich, comprising one-sixth of the land area of Texas. 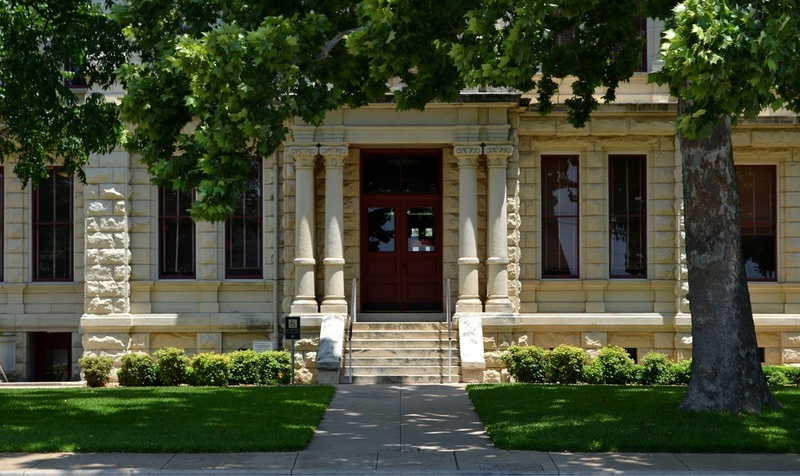 In addition to the present Milam County, the counties of Bell, Bosque, Burleson, Coryell, Erath, Falls, Hamilton, Hood, Jones, McLennan, Robertson, Shackelford, Somervell, Stephens, and Williamson were eventually carved out of the original Milam County. 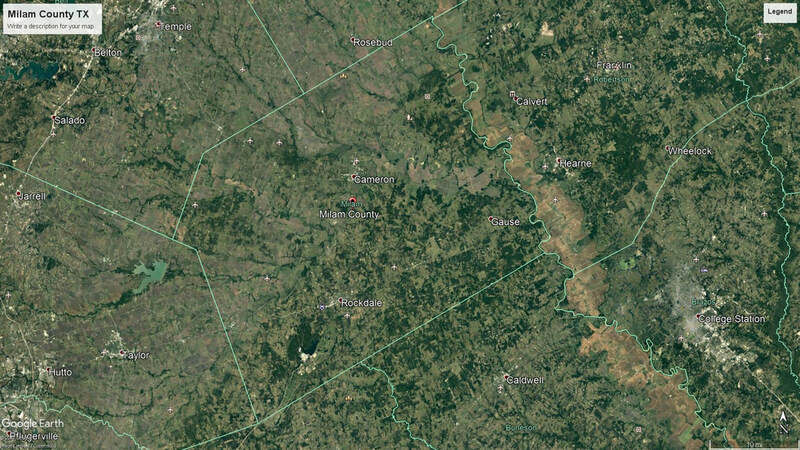 Brazos, Brown, Burnet, Callahan, Comanche, Eastland, Haskell, Hill, Johnson, Lampasas, Lee, Limestone, Mills, Palo Pinto, Parker, Stonewall, Throckmorton, and Young counties also received land from Milam County. By 1850, with the exception of a small area between Williamson and Bell counties, Milam County had been reduced to its present size. 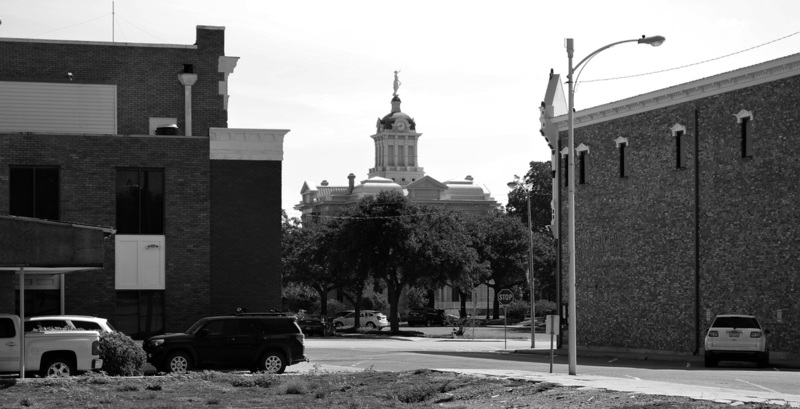 I visited Milam County and photographed the courthouse in Cameron on May 13, 2009, May 18 & 22, 2012 and October 20, 2014. 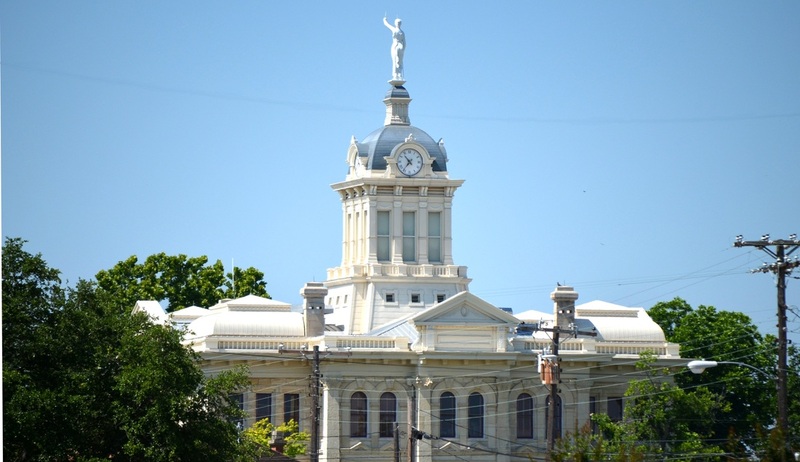 Once again the Milam County courthouse tower with the Statue of Justice can be seen above the trees from Highway 36. 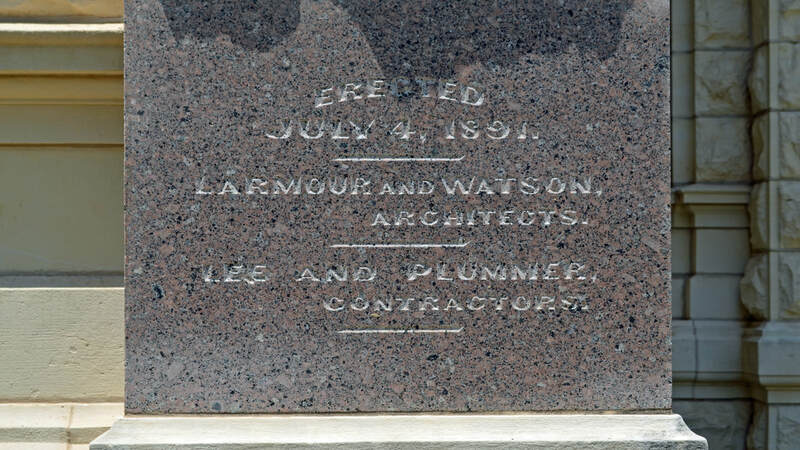 Designed in the Renaissance Revival style by architects Larmour & Watson, the current courthouse was completed in 1892. 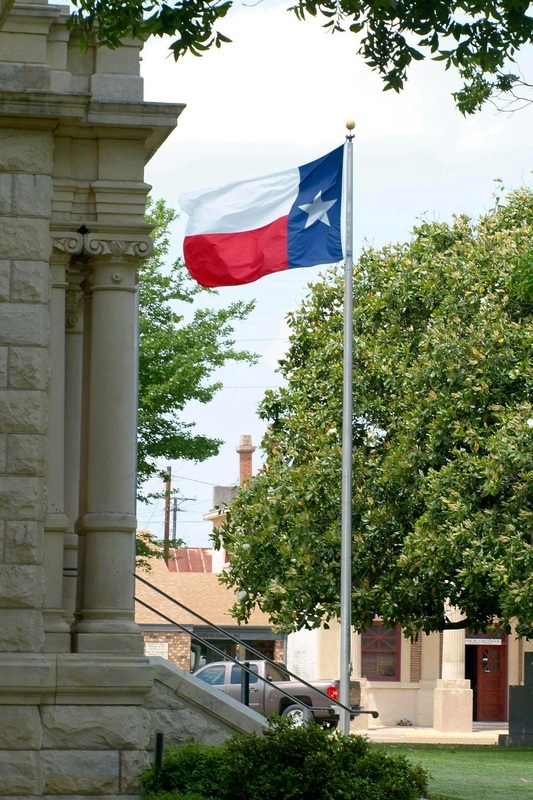 After a complete restoration the courthouse was re-dedicated on July 4, 2002. During the restoration the building's tower, removed in 1930, was recreated. On May 13, 2009 I first visited and photographed the Milam courthouse. 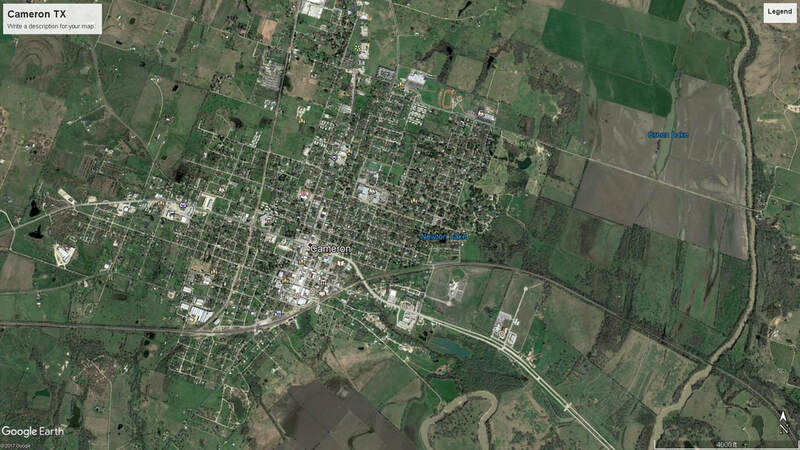 Cameron, the county seat, is on Highway 36, a road I've traveled between Houston and Abilene many times. Thanks to the THC, after 2002 the courthouse tower was once again visible from Highway 36 when approaching Cameron from the southeast. 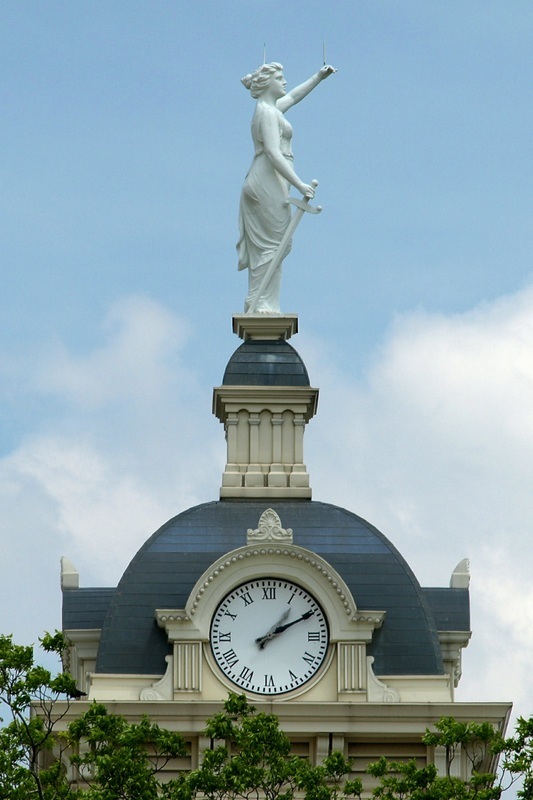 On May 17 and 22, 2012 I re-visited the courthouse and photographed it a second time. Because of the many mature trees surrounding the courthouse, this is a difficult building to photograph in the whole. 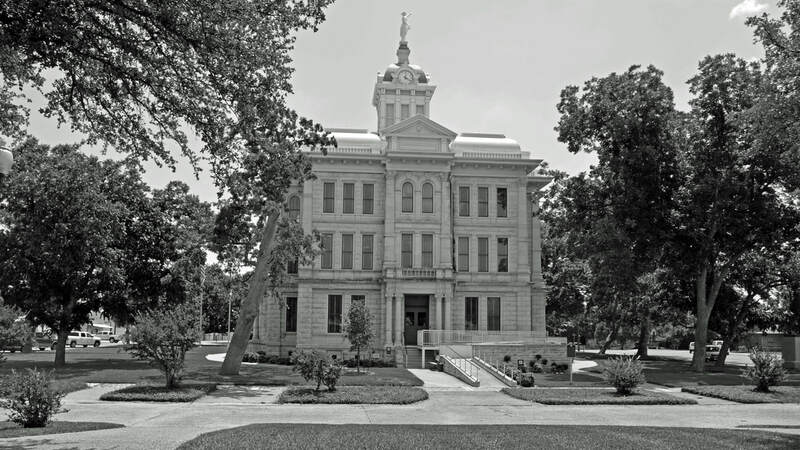 Larmour & Watson designed a similar courthouse for Comanche County in 1890. It was demolished in the 1930's. The courthouse tower is restored! A view of courthouse from E 4th Street (Highway 36). This is the north side of the building. The west facade of the courthouse viewed from the adjacent park. 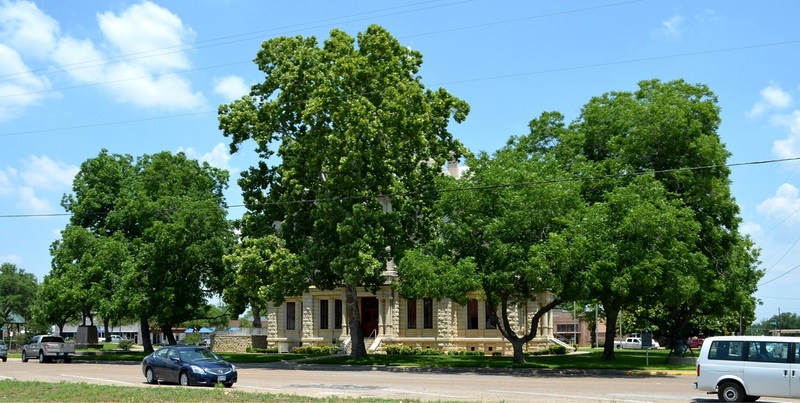 The Milam County courthouse occupies a 2 block square in downtown Cameron. 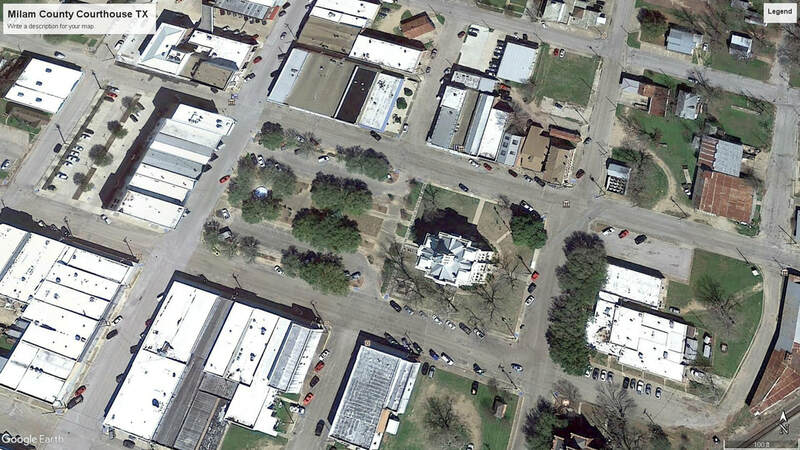 The blocks are aligned roughly east-west, with the courthouse in the east square and a linear park, flanked by parking in the west square. The street between the 2 blocks has been closed to traffic. The park is raised slightly above the street and includes a fountain and gazebo. There's a good view of the courthouse from the park. Unfortunately, the Statue of Justice atop the building faces south, not west, into the park. This would seem to indicate that the south facade is the front of the courthouse. However, the south doors of the courthouse open directly into the county courtroom and are not operable from the exterior. (See the interior photograph below.) Regardless, the square is nicely designed and maintained. A fitting front yard for this historic courthouse. The view from the west side of the courthouse. The gazebo and lawn are flanked on the north and south by parking. This layout avoids the "sea of cars" view found at many courthouses. 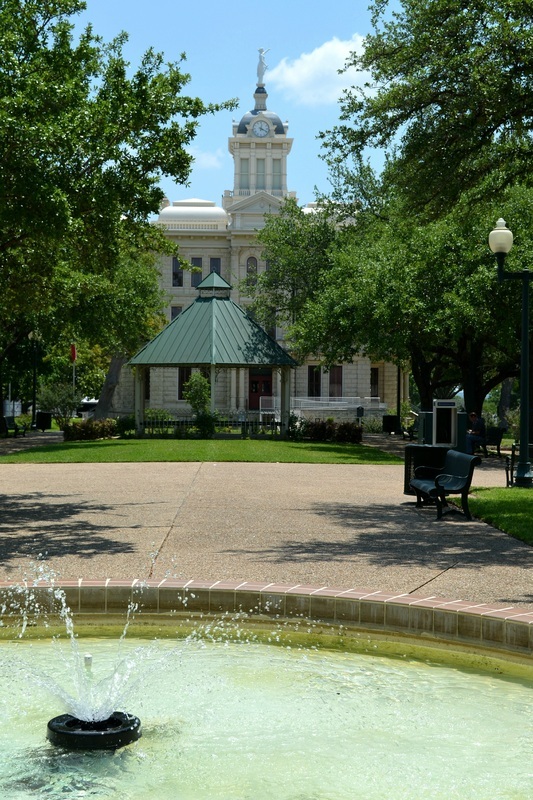 View of the mature trees surrounding the courthouse on the south and east. The south facade of the courthouse. These doors open directly into the county courtroom. See the interior photo below. 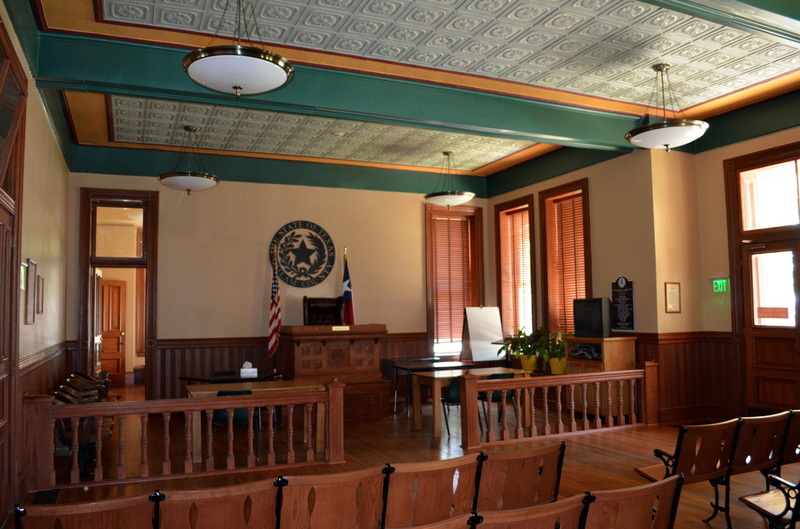 The county courtroom on the first floor of the building. The doors to the right lead directly to the exterior.